to see the other half of the world. “We Go Together” also deserves special recognition for its inclusion on this compilation as Jessie and I asked our DJ to play it as the final song at our wedding reception. That night was a blur, and hours flew by like minutes. However, I still remember the euphoric feeling that rushed through my body dancing the night away to “We Go Together” with dozens of my favorite people. It was such a cool moment, and among my favorite memories from an unforgettable day. I’d like to think we made a few other people Farewell Drifters fans by closing the night that way. As a fan of the group, it was sad when Sedelmyer parted ways with The Farewell Drifters some time after Echo Boom. The good news is that Sedelmyer continues to record awesome new music, and the Farewell Drifters have moved on as a foursome. At least I’ll always have Yellow Tag Mondays and Echo Boom. 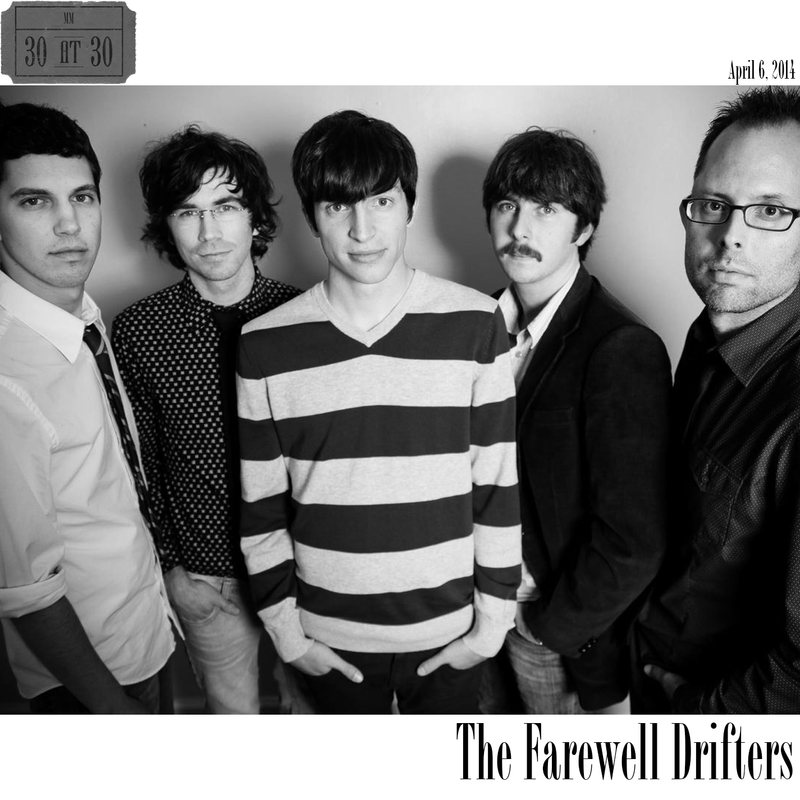 Ironically, as I sing along with the lyrics of “Bring ’em Back Around”, talking of summer days gone by, it reminds me of the summer of 2011, when The Farewell Drifters and Echo Boom became the band and the album most frequently listened to by Jessie and me. Do you remember those summer days? I could use a few more right now. Let’s bring ’em back around. The Farewell Drifters are likely the band on my countdown you’re least likely to have ever heard. If that’s the case, and you like good music, go listen to them, now, preferably the tracks listed below.